Amazon is already killing it with original streaming content. Transparent just won the Golden Globe for best comedy series and The Man in the High Castle is getting good early reviews. 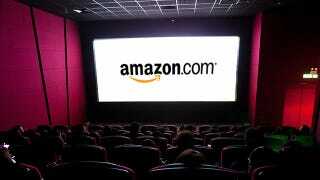 But Amazon is not resting on its streaming service laurels. No, Amazon has its eyes on a bigger screen: The company is preparing to release 12 original movies a year, and release them on Prime shortly after showing them in theaters. Amazon Original Movies will debut on Amazon's Instant Prime Streaming Service around 4 to 8 weeks after the big screen, narrowing the window between theatrical runs and home viewing. This is probably going to fuel the current trend of tightening the time frame between a film's debut in theaters and through on-demand services. The success of films like Snowpiercer, released with a small window, highlights that moving the release dates closer together doesn't necessarily cannibalize audiences.